For podcasters, the importance of having quality audio is crucial. After all, there is no video in a podcast. The podcaster solely relies on the listening experience to leave their mark. With such immense importance of the act of listening, it is a given that your microphone quality matters. 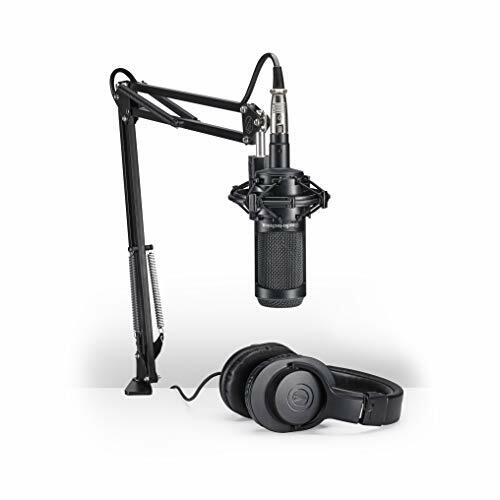 There are various podcasting microphones available in the market, but to make sure that you pick the best one, you must be aware of various things. Podcasting microphones can be mainly divided into two types, namely a dynamic microphone and a USB-condenser. There is a third type as well, called a ribbon microphone. However, it can be dubbed as a subcategory of dynamic microphones as the mechanism of the two are similar. These microphones are compact, sturdy and quite unique. With the use of a wire coil and a magnetic element, this microphone is able to perform the reverse function of a mini speaker. While the technicality behind it is quite simple, this simplicity is very beneficial. 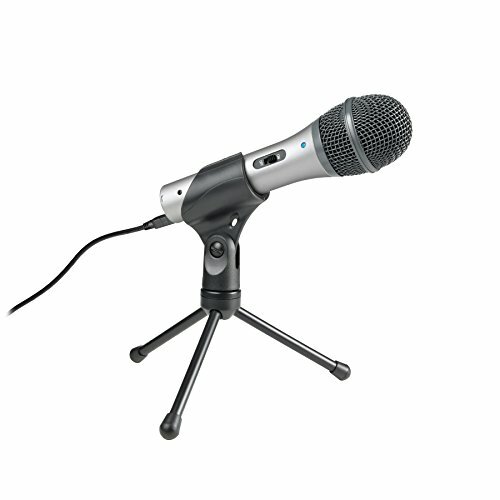 It ensures that the microphone is able to bear more wear and tear and be more durable than others. The audio signals of a condenser microphone are strong. This is why it is more responsive to minimal sounds as well. 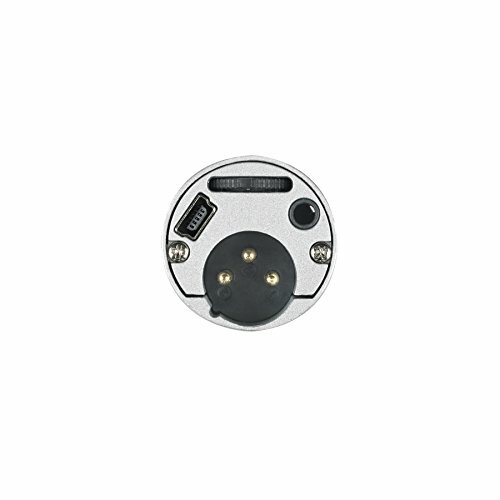 These microphones feature dual capacitor plates that are required to be powered by an eternal source. This source is pivotal while drawing phantom power that charges the microphone and makes it capable of performing its function. There are various differences between the two. A dynamic microphone does not need an external power source to be functional. It also has great ability to pick up subtle sound from a limited supply (i.e., your voice). 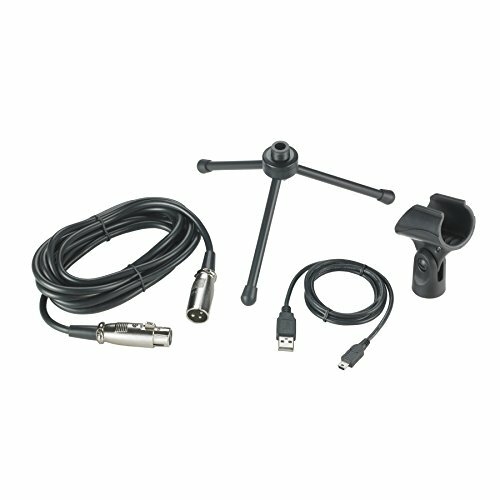 Compared to this, a USB-condenser microphone must be connected to an external source. However, the quality of the audio system is much better. The better enrichment in tone allows for an enhanced audio experience, which is sought for podcasting. The first thing that should govern your decision to buy a certain microphone is its directional ability. A directional ability or the ability of a microphone to pick up sound makes or breaks the podcasting experience. It also describes how the given product will pick up sound from different directions. You can divide the directional capability into two types, omni-directional and bi-directional. If a microphone is omni-directional, it is capable of picking up sound from all possible directions. While this means that all sounds will be picked up, this may not necessarily be a good thing. Picking up sound from all directions means that unwanted noise will be picked up as well. For personal podcasting, this is a major no-no. However, if you are broadcasting or wish for a microphone for reporting, these types of microphones are perfect for you. These microphones are only capable of picking up sound from opposite sides. This function itself makes it popular among podcasters. This is because podcasters either run the show alone or get a guest to talk about an issue. In both cases, a bi-directional microphone is perfect. However, when it comes to price, these microphones are significantly pricier than omni-directional ones. Hence, if you are on a tight budget, a bi-directional microphone might not be the best option. Microphone receptiveness is also called impedance. The better the receptiveness of the microphone, the higher the chance it will pick up subtle or low sounds as well. Look for the impedance in the product description. This is measured in ohms. Any rating of 600 ohms or lower will be successful in delivering quality audio and retaining better audio. Try to avoid very high impedance rating. The higher the rating, the lower the quality of the audio. Frequency response is the range of frequencies that the podcasting microphone is able to deliver. Merely knowing the range is not important; it is integral to also know whether the microphone will respond to specific frequencies. After all, your voice and instruments like a guitar have different frequencies altogether. If you wish to incorporate both in your podcast, you must know the frequency response of the given product. While for vocals, a microphone with a high frequency response is ideal, for bass, the opposite is true. Some microphones might even deliver you a range which is ideal for both. However, these will be a bit pricey. The price of the product you choose will depend on various things. 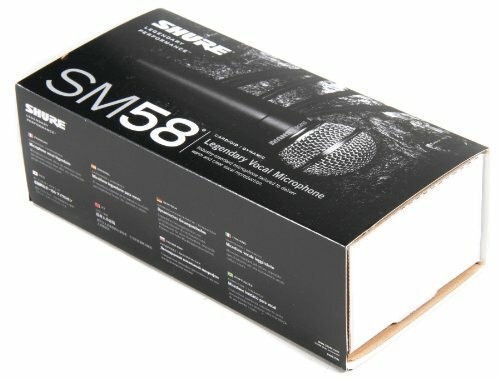 Different types of microphone have different prices. Even within the same type, one with lower impedance is likely to be expensive. Same is the case with an omni-directional microphone. This is why it is important to set a budget as well as a priority list. What are the features that you can compromise on for the sake of a budget-friendly solution? Remember, microphones are not cheap. Don’t try to opt for one either. This is because the quality of your podcast depends on it. Moreover, it is better if you go to the store after setting a budget. This filters options that are too expensive for you. Hence, you won’t end up overspending and later regretting your decision. Another way to achieve cost-effectiveness is via choosing a durable microphone. The longer the product lasts, the more value you will be able to derive from it. Durable items also make up for a high initial cost because in the long run, they tend to much more cost-effective. As a rule of thumb, dynamic microphones are much more sturdy and durable than USB-condenser microphones. 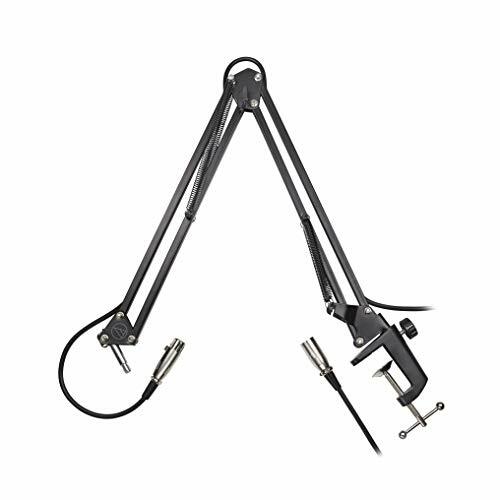 Try to go for microphones that feature heavy-duty construction if you are used to dropping your tools often. Are you still confused about which microphone to choose? Here are a few options you might want to consider. 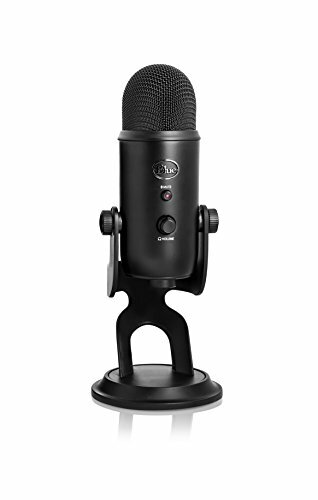 Blue Yeti is one of the most popular brands for a podcasting microphone. This USB microphone succeeds in delivering value. You can choose the type of directional capability you want this product to exhibit. Different pattern selections include bi-directional, stereo, omni-directional and cardioid. This means that this microphone delivers virtually all types of directional capabilities and lets you decide which one to opt for. The impedance of the microphone is quite low as well. At 16 ohms, it is capable of being highly receptive. This enhances the audio quality offered by the product. 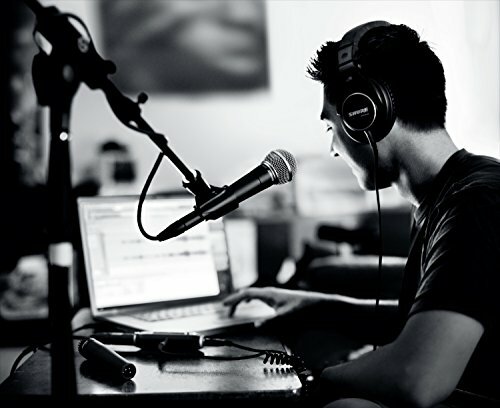 Whether it be musical instruments, interviews or podcasting, the microphone can be used for all types of frequencies. It is also compatible with Windows 10, 8, 7 and XP. Therefore, you can easily transfer the audio to your computer. If you are looking for a multi-purpose microphone that you can use for both field interviews and recording music, you might be satisfied with this product. 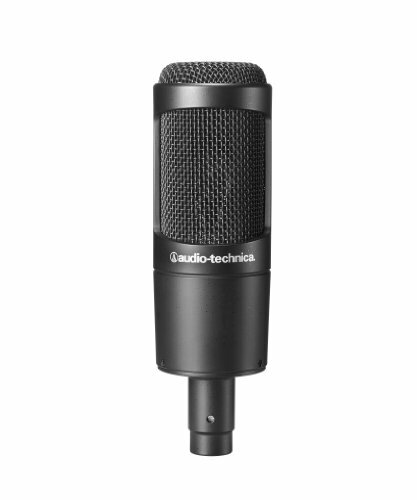 Audio Technica succeeds in providing it all, from quality and durability to style. There are two types of output delivered by this microphone. One is USB, and the other is XLR. The former is ideal for digital recording, while the latter allows the product to be used for live performances. This is achieved by connecting it to a sound system. These two functions together deliver quite a lot of value to customers. To make sure that no unwanted sounds are recorded by the microphone, it is accompanied by a cardioid pattern. No side or rear sounds will be picked up by the microphone. Hence, whether it is podcasting or live performing, you can do it all and be as clear as possible. For the low price charged, this microphone manages to deliver quite a lot of benefits. This microphone has been tailor-made for podcasting, vocals, and live performing. For these purposes, it manages to offer a satisfactory performance. This product features an extensive range of frequency response. To be specific, the range offered is 50 to 15,000 Hz. 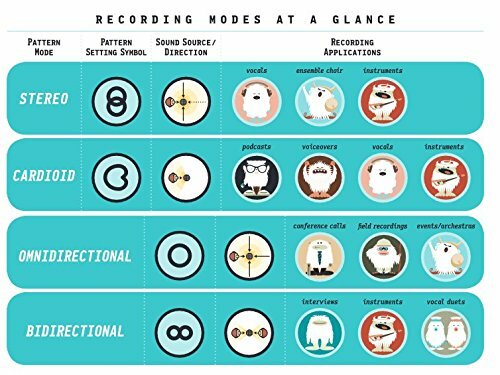 This is one of the reasons why it can be used to record vocals and perform live with different instruments. 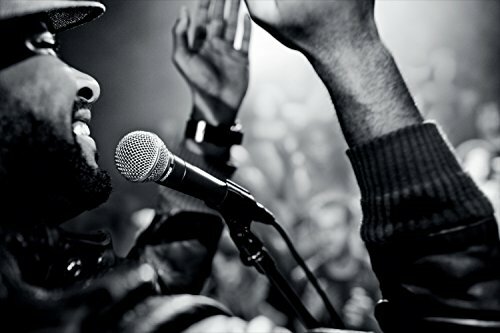 Some microphones may pick up handling noise, which greatly affects the experience for the audience. 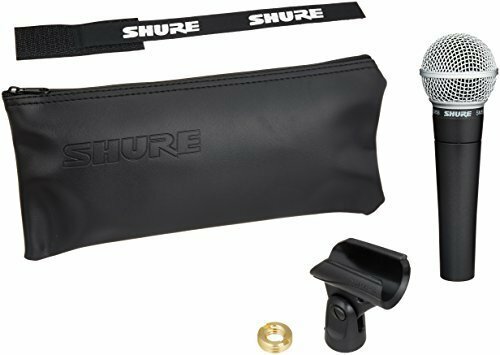 However, the Shure SM58-LC includes a mounting system that comes with pneumatic shock, which allows it to handle all sorts of unwanted background noise and keep it at bay. This is further ensured by the use of cardioid pickup directional capability. Your main sound will be isolated from other sounds to maximize clarity. It is hard to find a microphone that offers an array of features at a reasonable price. Shure succeeds in doing so and is worth the money. 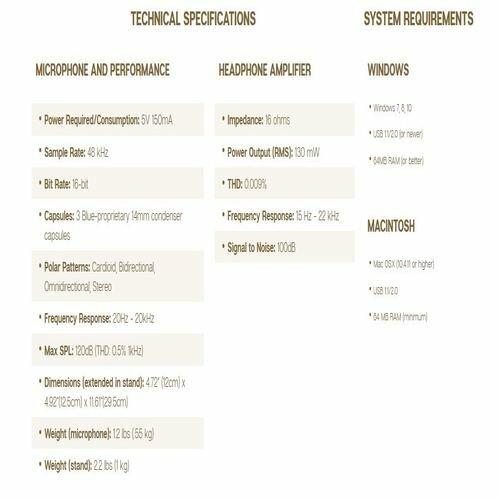 Yet another Audio Technica microphone makes it to this list due to its ability to deliver all that matters. This microphone can be used by enthusiasts and professionals alike. It uses cardioid directional capability. This means that the level of noise recorded by the microphone is minimal. Moreover, it is capable of handling high sound pressures with immense ease. This makes it usable for intense live performance without the fear of it failing. The design of the product plays an integral role in delivering quality output. For instance, the diaphragm of the microphone is made to be larger than usual so that your natural voice is recorded without any breaks or interruptions. It is also equipped with a 10-foot cable, which means that the chance of the mic not reaching the interface is highly unlikely. Unless you are looking for a microphone that can serve you for decades, this one will do the trick. 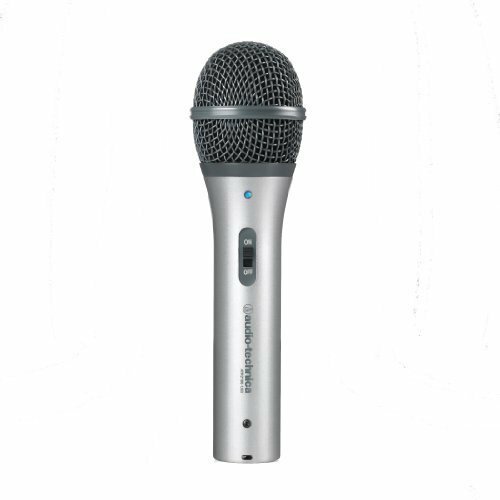 Are you looking for a mic that looks great while delivering its function? If so, you might want to try the Blue Microphone’s Encore 100i. Not only does this microphone deliver quality, but it is also equipped with an array of value-added accessories. 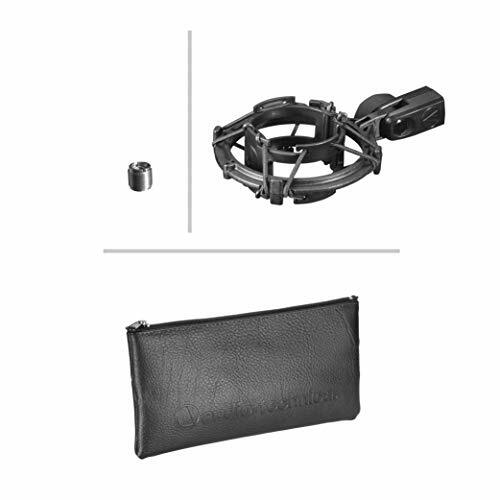 For instance, it comes with a soft-grip clip and a storage pouch. The latter allows for effective storage as well as ease of portability from one place to another. It is equipped with the custom-tuned circuit as well. This aids the microphone in catering to high frequency responses as well. The design of the product is also stylish, and the slim construction allows you to comfortably hold on to it. Unless you are recording in a place with minimal noise, this product might not be able to satisfy you. However, it is excellent for podcasting. 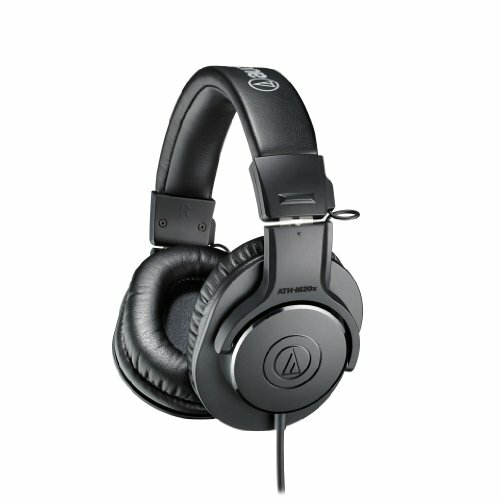 Among the five products, Audio-Technica AT2035 is surely the best. Its durability and audio quality are unprecedented. You can choose any microphone from this list that best suits your need without any doubts. If you are a podcaster, make sure you give the purchase decision as much thought as possible.